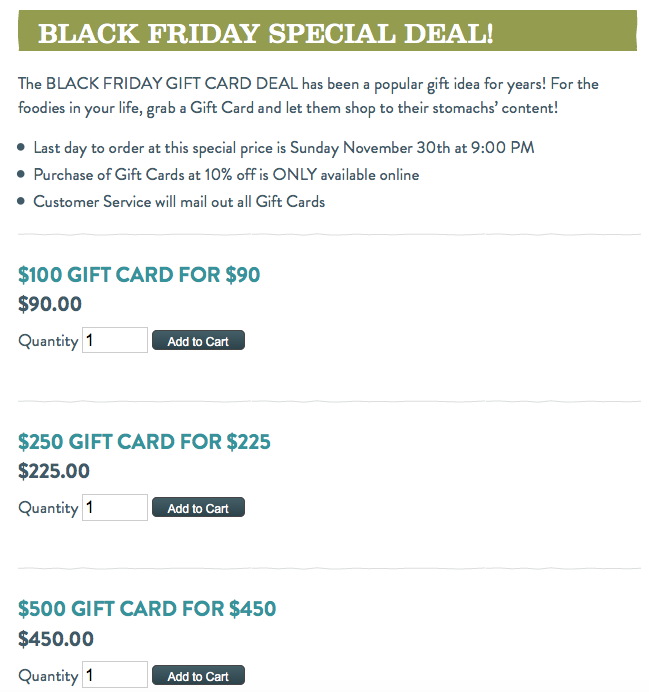 Healthy Living Market Black Friday Deal: Save 10% On Gift Cards Online! Thru 9 pm on 11/30 score 10% off a $100-$500 gift card at Healthy Living Market! This deal is available online. Plus print out a $10/$50 Healthy Living Market coupon HERE for additional savings!